Epitome of class and luxury, this contemporary suite measures 624 sq ft and has been tastefully designed to suit the requirements of our most sophisticated travelers. 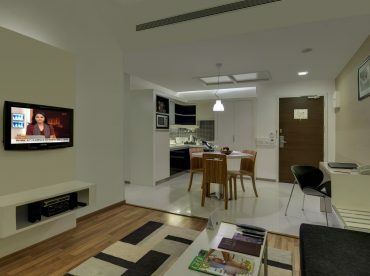 The suites are complete with a king-size bed (twin bed on request), separate living room, kitchenette, refrigerator with mini-bar, private balcony, rain shower, work desk, dining table, high speed internet access, music system, day bed, iron and ironing board. • A 40’’ LCD TV ensures that you are entertained and updated.